We’re excited that “Luann” comic strip author Greg Evans created a series of special strip about Books For Treats which ran Halloween week 2009. Spry Health magazine mentioned Books For Treats October 2009. This magazine is distributed to 9 million households in national newspapers. 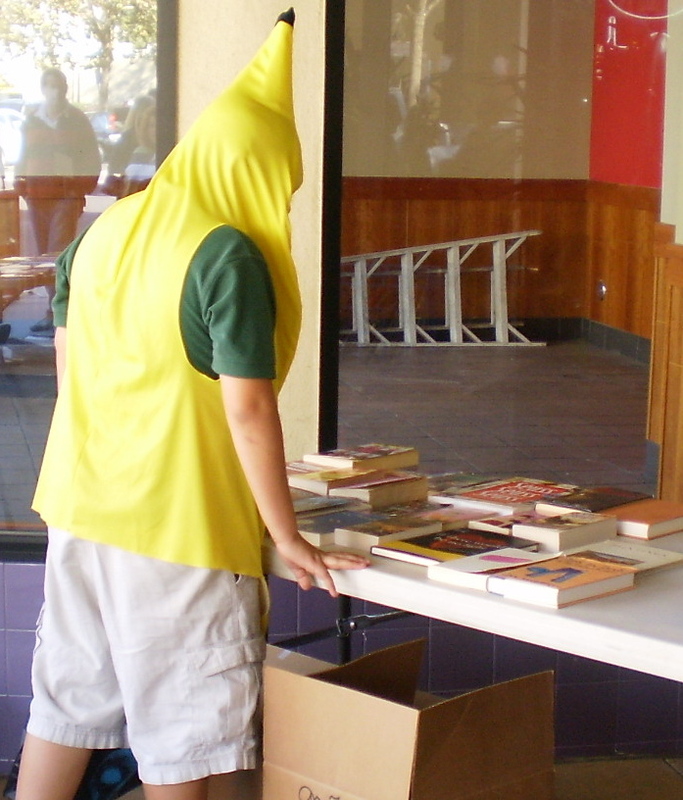 Since Halloween 2001, we’ve given up to 10,000 books each year to excited, costumed Willow Glen trick-or-treaters. Then-Mayor Ron Gonzales, then-Councilman Ken Yeager, Mayor Chuck Reed and Councilman Pierluigi Oliverio joined us in greeting the kids and happy parents. We were featured in the media to nearly 2 million viewers/listeners/readers. Take a peek at some great pictures and links to some of the stories from our Media/News page. 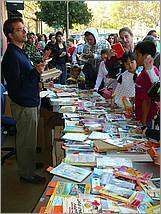 Mike Cassidy wrote a column in the San Jose Mercury News about Books For Treats, as well as in his blog. Read the article about Books For Treats published in the June/July ’07 American Association for the Advancement of Science magazine. What is Books For Treats? Books for Treats is a non-profit (501c3) movement that encourages you to give gently read children’s books at Halloween instead of candy. 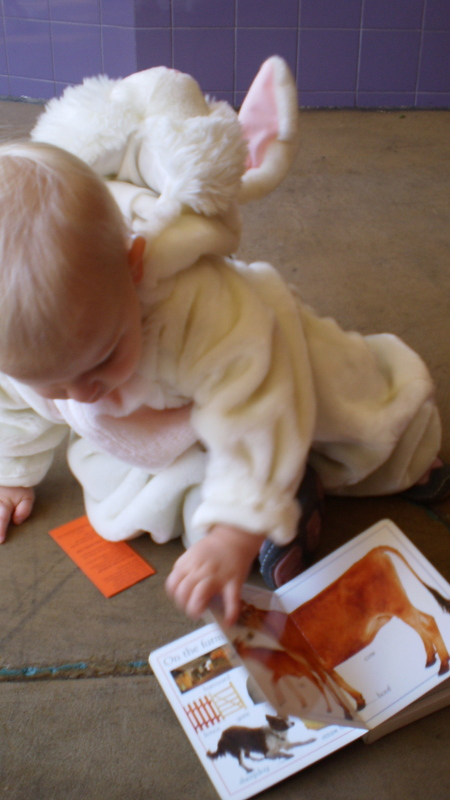 Why give children books instead of candy at Halloween? Books feed children’s minds, while candy only feeds their cavities. Books encourage children to read, and parents to read with them and/or ask them about their books. Many children rarely receive books as gifts, so even gently read books are special treats. The National Endowment for the Arts recently released a report revealing that the average 15- to 24-year-old spends seven minutes daily on “voluntary” reading. If we kindle children’s excitement about reading before they are teenagers, they will continue the habit into adulthood. Why would I want to go to the trouble of giving books? Candy is much easier to buy. Do you recycle? If so, do you think it is a lot of work? No. You believe in supporting the planet by recycling materials so they don’t go into the landfill. Books For Treats takes a little more time than buying a giant bag of candy, but if you believe that you can help turn Halloween from a cavity-, obesity-, diabetes-contributing holiday into one that shows that society cares about our children, then it’s worth the extra effort. 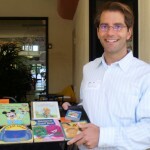 Giving books instead of candy shows kids you care about them and are encouraging them to read. This not only helps raise their interest in reading, but raises their feeling that the community cares about their future. Literacy is key to success in today’s society. Book reading encourages curiosity, imagination and life-long learning. Why is candy a problem? According to Nielsen Research, approximately $9.1 billion of candy was sold during the 2017 Halloween season, a new record, according to the National Confectioner’s Association (NCA). The average person spends nearly $16.45 on the Halloween candy — much of it being consumed before Halloween by the adults or their kids. The average Jack-O-Lantern bucket holds about 250 pieces of candy amounting to about 9,000 calories and about three pounds of sugar, according to the California Milk Processors Board. Parents complain that their kids are hyper before and after Halloween as they eat so many more sweets than usual. Parents have to limit the amount of candy their kids eat, which creates fights, crying and problems. There are safety concerns as well. Many parents either throw away unwanted candy or bring it to work for their coworkers to eat! Not a good solution. Many adults find Halloween candy is a problem for them, as some eat it before Halloween, eat candy from their kids’ bags, or eat leftover candy brought to work by coworkers. Just think of the favor you’ll be doing for your waistline by not having Halloween candy to contend with! How would I get inexpensive books? Kids’ books are expensive! 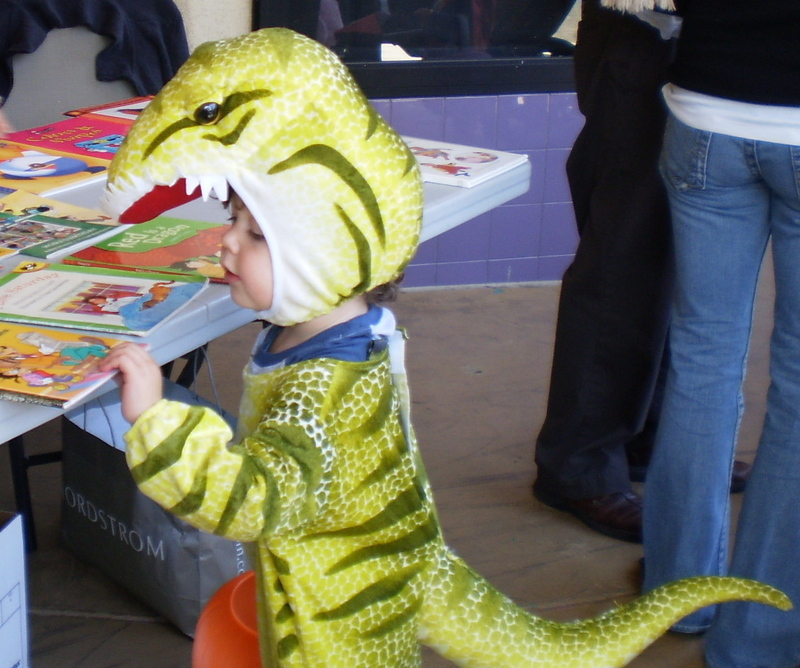 Dinosaurs who read don’t go extinct! Many libraries hold regular book sales. Call your nearest branch to see when the next sale is. A common library-sale price is $1/inch (stack up the books and measure along the spines). You can get 2 to 5 books for $1, depending on their thickness, so for the price of a candy bar you can give “brain candy” instead. If you need to suppliment your own book stash, take inventory of how many you already have in each grade category, so you’ll know how many more you’ll need for your trick-or-treaters. For guidance on how to tell the grade levels of the books you have, download our kit, as guidelines are in it. If you’re in San Jose, branch libraries sell inexpensive children’s books through their Friends of the Library sales. We’ve also created an alliance with Scholastic to allow you to buy books at a deep discount. You need to complete their application and send/fax it to them (put “Books For Treats” in how you heard about the program). They will then give you your member number to use when ordering. Why give gently read books instead of new books? Won’t kids think that is cheesy? Kids appreciate books, even gently read books, as long as they are in good shape. You’ll need to screen the books to make sure the books aren’t ripped or marked up, although they may have the previous owner’s name in the front and/or a library stamp. What will the kids think about getting books instead of candy? “I offered books this Halloween. Two children were so excited they left their sacks of candy at the door and took off with the books — they had to come back later and retrieve their candy (and they thanked me again for the books). Some of the older kids wanted to know if they could have more than one book. Gather gently read children’s books to give to your trick-or-treaters. Download our kit to help you sort your books by grade level. Make a tax-deductible donation of any amount through PayPal to info@BooksForTreats.org. We appreciate any funds, as they help us purchase books, provide PR to get the word out, and keep our website up to date. Talk to your friends, co-workers and neighbors about participating in Books for Treats. Send them a link to this website. You can drop off books at the Comerica Bank Willow Glen branch on Lincoln, and Sereno Group at 1100 Lincoln Ave. If you have over 200 of books to donate, call Rebecca Morgan, founder and Executive Director of Books For Treats, at 408/998-7977, or email. She’ll arrange a drop off or pick up of your books. 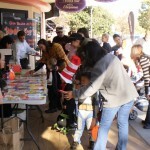 Will Books For Treats be giving out books again to trick-or-treaters on Willow Glen’s Lincoln Avenue? Sign up for updates in the form on the right sidebar to get information on the hours for the 2018 events in San Jose and Campbell. 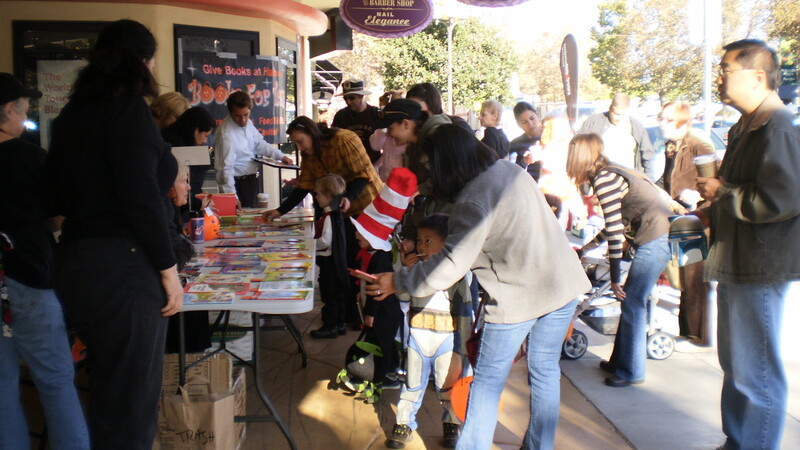 In Willow Glen, we’ll be giving out books to trick-or-treaters at Wells Fargo’s parking lot, 1250 Lincoln Ave, San Jose, CA 95125 on Wed., Oct. 31, 11:00-12:30 for Kindergarten kids and younger, and 3:00-4:30 for first through sixth graders. 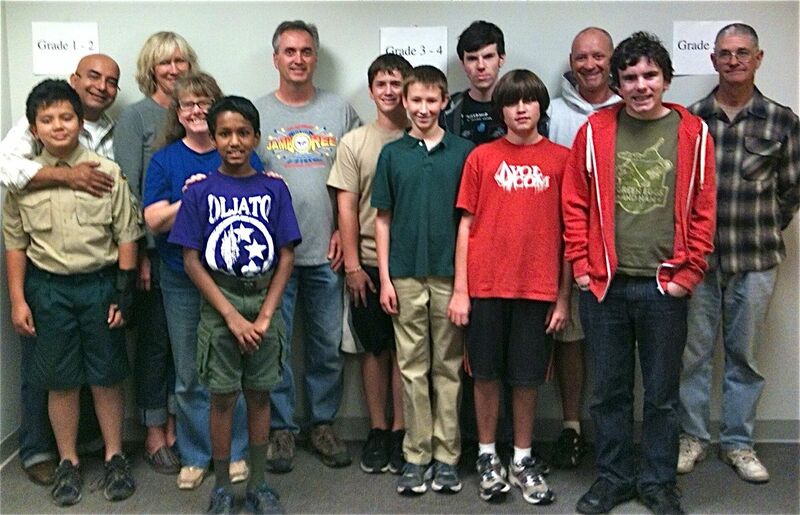 Thanks to Willow Glen Boy Scout Troup 233 — and our supporter Vince — for transporting 2 pallets of books. We greatly appreciate their strong backs and community spirit! 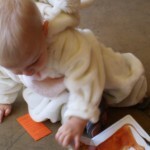 How do I give out gently read children’s books at Halloween? Collect books. Then download our kit to help you sort your books by grade level. It has a full set of instructions on how to sort the books, how to make it easy to give books to your trick-or-treaters, and even signs for your door so kids — and parents — know you’re a book-giving house. “I distributed 697 books to trick-or-treaters at my house in Southbridge, MA last night. Your kit was a huge help in terms of getting things organized and sorting the books by reading level. Will I be able to buy books from Books For Treats? We’ve created an alliance with Scholastic to allow you to buy books at a deep discount. You need to complete their application and send/fax it to them (put “Books For Treats” in how you heard about the program). They will then give you your member number to use when ordering. We are in discussion with other publishers to allow you to get very reasonably priced books to give to your trick-or-treaters. Simply fill out and submit the form on the left and we’ll email you when books are ready to be ordered. Where are Books For Treats events? Want to talk to someone about how you can help? I want to give my gently read children's books at Halloween instead of candy. I want to feed kids' minds, not their cavities. Please email me when you have updates about Books For Treats. I want to volunteer. Please contact me about opportunities. I want to help with costs for this project.Please contact me about making a donation. Please contact me to discuss my company making a contribution. I'd like to make a donation. I will send my donation through PayPal to info@BooksForTreats.org. Please submit the information required below. An * means this information must be provided.